London has some fantastic things to do at Christmas, but as these festive events show, it's worth leaving the capital sometimes too. 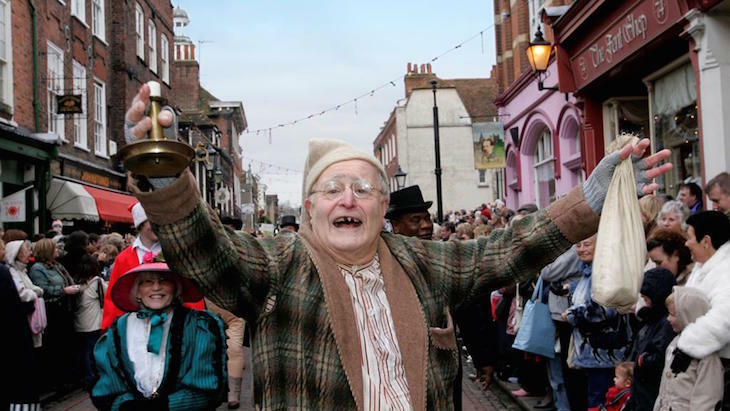 We've also put together a guide of things to do in Kent at Christmas. Kew's sister site down in Sussex has its own version of Kew at Christmas; a lantern trail, winding through the trees, dancing on the lake and illuminating the manor house. The river of fire, which sees the waterway filled with burning lanterns, is particularly impressive. The gardens are also home to the UK's tallest Christmas tree, with almost 2,000 lights decorating its 33m height — local urban legend has it that pilots use it for navigating to nearby Gatwick Airport. At the end of the trail, a market with food and drink stalls sells hot drinks, street food and marshmallows for toasting, plus Wakeshurst's restaurant stays open late for the event. 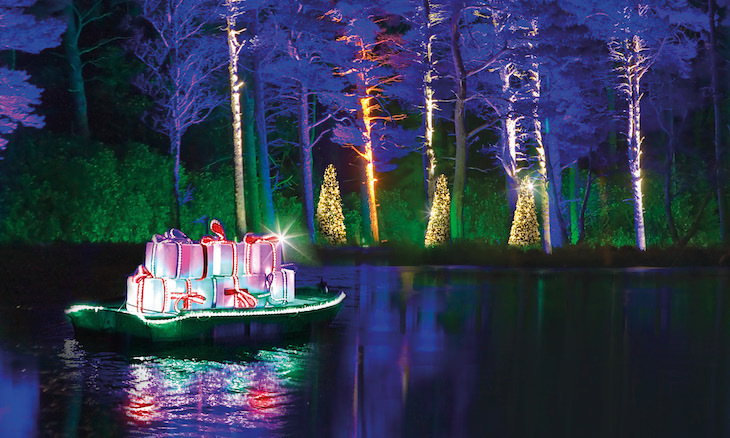 Glow Wild 2018 at Wakehurst Place, 22 November-16 December 2018. Tickets £14, need to be booked in advance (it sold out weeks ahead last year). Rochester has a wealth of Dickensian fare all year round, but it really plays up to the author's local heritage at the annual Victorian Christmas fair. Some people get into costume for the event, but it's not mandatory. Along with the many stalls in the streets and special events taking place inside the local shops, street entertainers amuse the crowds, while a candlelit parade and open air carol concert also take place in the olde worlde town. Bedgebury Pinetum is more of a summer venue, with outdoor pursuits and a Go Ape course, so the clever people behind it have found a way to keep the visitors coming in winter. 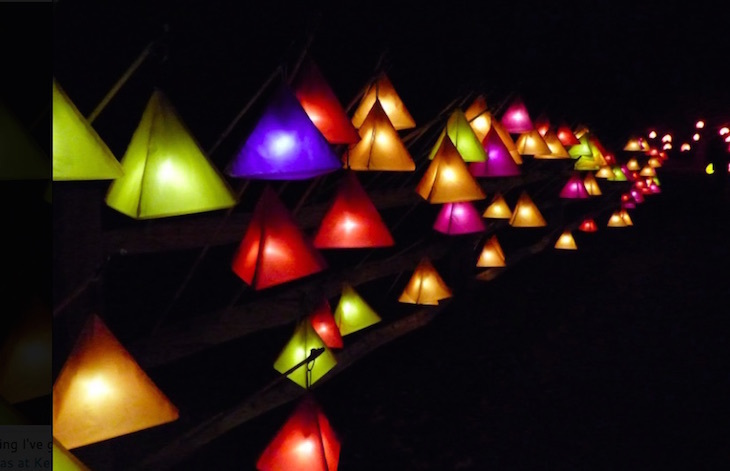 This year's the first Christmas at Bedgebury event, which involves a mile-long trail of twinkling lights up in the canopies. It's by the same events company as Christmas at Kew — a spectacular event every year — so we're expecting stunning things. Christmas at Bedgebury 2018, 30 November-30 December 2018. Tickets from £17 adult/£10.50 child, booking required. London has an absolute abundance of its own Christmas markets, but if you want to get out of the capital for your festive retail therapy, we suggest hopping on a train to Winchester. 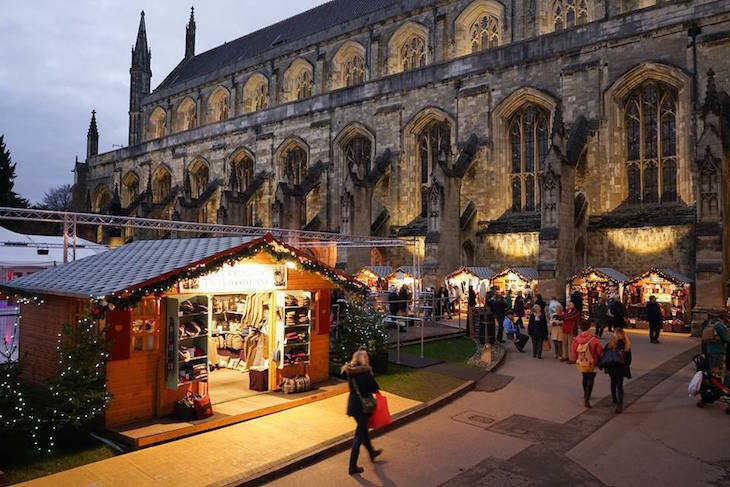 The Christmas market is set in the grounds of the Cathedral, making for a beautiful backdrop, with all manner of gifts, decorations, food and drink being sold from the traditional wooden chalets. It does get very busy, so we suggest going earlier in the season if you don't want to be shuffling through the crowds elbow to elbow. This Harry Potter heaven pulls out the stops all year round, but goes above and beyond at Christmas. The Great Hall set is transformed for the Great Yule Ball, and the fake snow used in the films blankets the model of Hogwarts and its grounds. 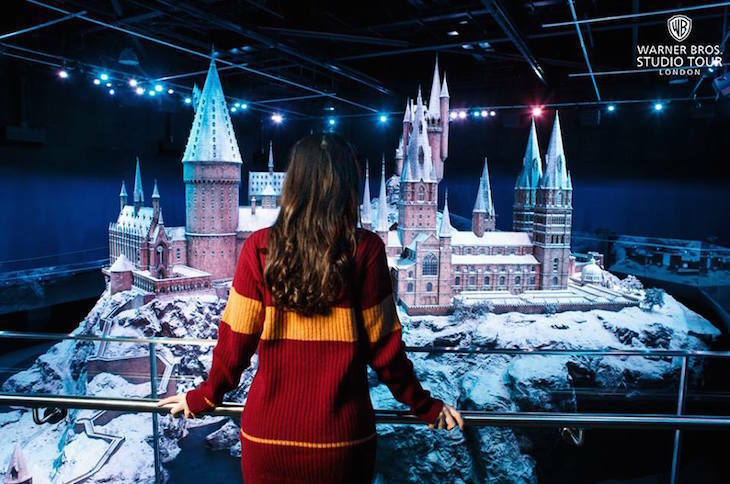 Those more interested in the film making side of things can learn about the different types of fake snow used, depending on the effect required... and you can warm up with a butter beer afterwards. Knebworth Park near Stevenage transforms into a winter wonderland. Centrepiece is the food and Christmas market, which is described as a "unique lifestyle shopping experience" but basically translates as stalls selling jewellery, homeware, accessories, food, drink and more. The stage hosts entertainment for kids (story time, Greatest Showman singalong) and adults (wine tasting, gift advice). Shipping containers designed like an après ski bar host bars and food stalls, and we're also promised an 'enchanted garden' and Father Christmas experience, although details aren't yet available at time of writing.